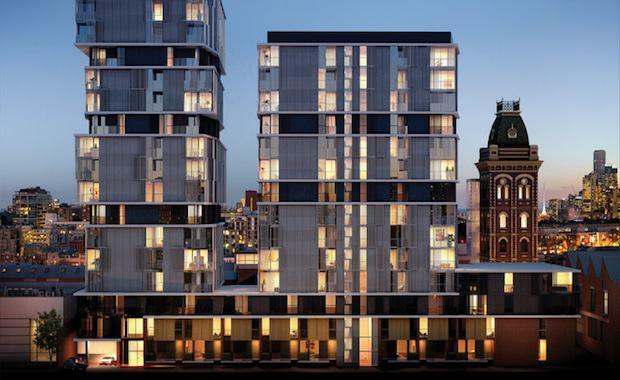 Victoria is leading the national charge for interest in off the plan apartments, a recent survey by realestate.com.au has revealed. The top ten Australian suburbs for off the plan apartments in the last three months include five Victorian suburbs, four NSW suburbs and one Queensland suburb. There are many possible drivers for Victorians to explain the interest in off-the-plan apartments, including stamp duty savings, proximity to the CBD, target market and lifestyle. Stamp duty savings are a significant consideration, according to Evan Cathcart from 360 Property Group. “When you buy an off-the-plan apartment in Victoria, you get stamp duty savings that are more significant than other states. For example, purchasing an off-the-plan apartment for $500,000 can save you up to $25,000,” Mr Cathcart said. Particular suburbs such as Collingwood and the Melbourne CBD, which are central to the hub of activity, attract young professionals and account for a large percentage of off-the-plan purchasers. “From my experience, most people buying off-the-plan in Collingwood are predominantly young professionals … they’re close to their white collar jobs in the city and have bustling cafes, bars and restaurants at their doorstep,” Mr Cathcart said. Mark Mendel, CEO of iBuyNew.com.au also agreed that demand for off the plan apartments across Sydney, Melbourne and Brisbane was high. "If we compare our enquiry stats to the same time last year, our enquiry rate is up 127 per cent! There doesn’t look like there is going to be any sort of slow down, and demand for the inner ring of Melbourne and Brisbane is higher than ever," Mr Mendel said. "Demand in Sydney is spread across the metro area, with people looking for affordability in the Western suburbs like Campbelltown, St Marys and Penrith while other buyers are looking for middle ring suburbs that provide good value for money such as Parramatta fridge suburbs and growth areas like Kellyville in the North West." However, Mark Mendel cautions buyers that are interested in off the plan property to not get caught up in the hype. He has noticed many developers pushing prices well above current market and making buyers jump through hoops just to reserve a property. Mr Mendel also believes that the biggest surprise from the top ten is that there aren’t more Brisbane suburbs represented. "Demand for inner ring apartments in Brisbane is higher than it's ever been with more projects for sale and more apartments under construction than ever before. Suburbs in Brisbane like Fortitude Valley, Newstead and West End must be close to being part of the top ten with lots of activity occurring in these suburbs,"
As many of these suburbs are up-and-coming areas, and realestate.com.au reveals increasing interest in them, now may be an ideal time to invest and develop in the Australian economy.